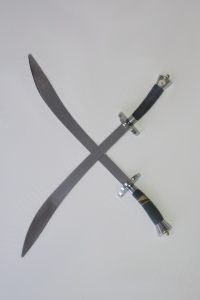 The double saber was a common dual weapon. Blade length varies between the north and south. 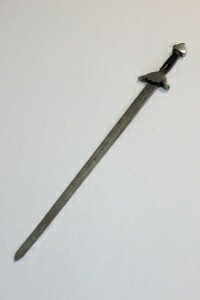 This sword is commonly referred as the gentleman's sword or narrow blade sword. Both edges of the sword are sharp, the hilt is perpendicular to the blade instead of being rounded. More precision is required to master this blade and it has different lengths and weights depending on the area of China. 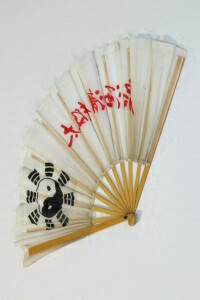 Fans used by martial artists were usually made of metal, but sometimes wood or bamboo. With this weapon, a martial artist could be scholarly one moment, and deadly the next! Fans with razor sharp edges were perhaps one of the most common hidden weapons. In China, fans were both beautiful and practical. Some fans included spring loaded darts for surprise attacks.